Mix the wet ingredients together and combine the two, mixing just until everything is incorporated. Don't over mix, lumps are good. If the batter seems too thick, add more buttermilk. 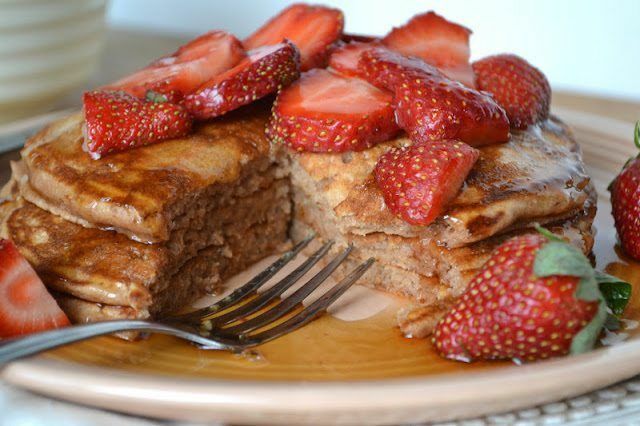 Cook the pancakes on a hot griddle and serve with sliced strawberries and maple syrup.